Postgraduate fellowships, summer internships, bar scholarships, and more! Legal Counsel for Youth and Children (LCYC) improves the well-being of youth and children by advancing their legal rights through holistic direct services, community partnerships, and systemic advocacy. LCYC is looking for a 3L or recent law school graduate with a demonstrated commitment to public interest or public defense advocacy work to join them for a two-year fellowship focused on race equity and youth homelessness. The fellow will provide direct civil legal aid services to youth ages 12-24 years who are or are at risk of homelessness in King County, Washington. The fellow will work on expanding LCYC’s partnerships with community organizations providing services to youth and families of color. This is a full time, two year position, with an annual salary of $58,000 plus benefits. To apply: Please send a cover letter and resume to erinlcyc@gmail.com. For strongest consideration apply ASAP (position open until filled). The fellowship will run from fall 2019-summer 2021. Looking for a chance to work with clients? The UW Law Moderate Means Program seeks spring and summer interns! The UW Law Moderate Means Program (UW MMP) is the flagship pro bono program for students at UW School of Law. 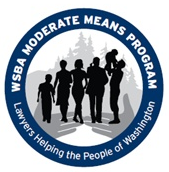 This program provides legal referrals for low- and moderate-income individuals as part of the statewide WSBA Moderate Means Program. The goal of the program is to increase access to civil legal services for people of moderate means who cannot afford an attorney but make too much money to qualify for traditional free legal aid services. The program is focused in the areas of Family, Housing and Consumer law. The UW MMP is currently recruiting interns for spring and summer 2019. Time commitment is 2-4 hours/week spring quarter, and a minimum of 6 hours/week during the summer. This position is open to all students (JD, MJ, LLM, LLLT, PhD) and training will be provided. Time volunteering for MMP also qualifies for Pro Bono Honors Society. To apply: Please submit a resume and letter of interest to Ann Spangler at spangler@uw.edu. The Administrative Law Section of the WSBA will award a $5,000 summer grant to one law student who is working in an unpaid public service capacity in the area of administrative law. Applicants must submit a current resume and a two-page or shorter, double-spaced essay describing the applicant’s summer work and how the work will promote diversity in administrative law. The selection committee will considering the extent to which each applicant’s internship relates to the practice of administrative law, whether the applicant demonstrates a continued interest in administrative law, and whether the internship will promote diversity in the practice. After completing the summer job, the recipient must be willing to write a short description about the experience for the Administrative Law Section’s newsletter and give a report about it at a future Administrative Law Section meeting. Application Deadline: Applications are due by Friday, May 3, 2019. Submission Instructions: Please submit application materials as a single PDF file to gatespsl@uw.edu. JustLead Washington is now hiring for a new Deputy Director position. We are seeking an experienced manager and relationship-builder who can help drive our leadership development and organizational change work forward. We are seeking someone who is deeply committed to Washington’s equity & justice community and who is passionate about helping advocates and organizations develop their capacity to lead, listen, and learn. For additional information and to apply please visit here. The position will be open until filled but priority consideration will be given to those who apply by April 15. 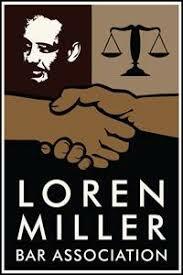 The Loren Miller Bar Foundation provides the Philip L. Burton Memorial Scholarship to deserving third-year law students of African/African-American descent and/or law students who possess a demonstrated commitment to improving the African-American community. The scholarship funds are provided expressly to offset the recipient’s Washington State Bar Exam preparation course expenses. The amount of the award varies from year to year. For additional information and to apply please visit here. The 2019 Application deadline is May 5th. Columbia Legal Services seeks a full-time Legal Fellow to work in our Working Families Project for a two-year fellowship, located in our Yakima office. This position will provide systemic, multi-forum legal advocacy to advance a broad range of legal issues affecting farm and other low-wage workers and their families in Washington. This position will focus primarily on employment, as well as related civil rights matters and access to equal opportunities in our communities. For complete job description and application instructions please visit here. Position open until filled. ← Tribal Justice, Q-Law Happy Hour, Citizenship Day and more – Check out these upcoming events and opportunities!